When given a pen and an empty canvas, it’s in our human nature to want to create. Be it random drawings conjured up from memory or scrawling our names and practising our signatures, doodling is how we express ourselves. And that way of life has not been lost on Burberry, who just released the Doodle collection that doodle-fied a slew of their accessories, from the reversible tote bag to their iconic silk-cotton scarves, and of course their small leather goods too. 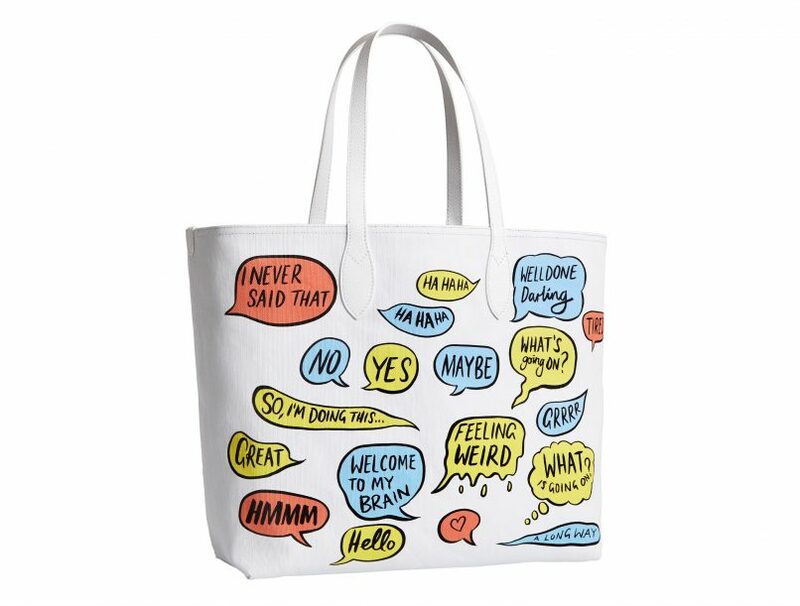 British artist Danny Sangra was called upon to create his own version of the Doodle tote, seen here with quirky speech bubbles. First, the bag. Two sizes, medium and large, are now available at Burberry’s flagships and their online store. Made in a workshop in Florence, Italy, all of them feature almost-illegible scribbles and sketches that still have the hallmark of Burberry’s British style, from a cheeky deconstructed Union Jack doodle to classroom elements with various font types, a la our penmanship (or lack thereof). Then, the silk cotton scarves. As seen on supermodel Cara Delevingne and actor Matt Smith, they are also adorned with an explosion of scrawls in a bevy of merry colours. And last, the accessories that make for the perfect stocking stuffers. There are iPhone cases, calf leather trainers, card holders, coin pouches, belts, and keycharms that are the perfect gift for your friend who loves Britain oh-so-much, seeing as much of it is inscribed and decorated with British motifs and shades. If you love the Doodle collection, watch out for January 2018 when Burberry’s womenswear and menswear will also feature the doodles on their shirts, dresses, bomber jackets, and trench coats.